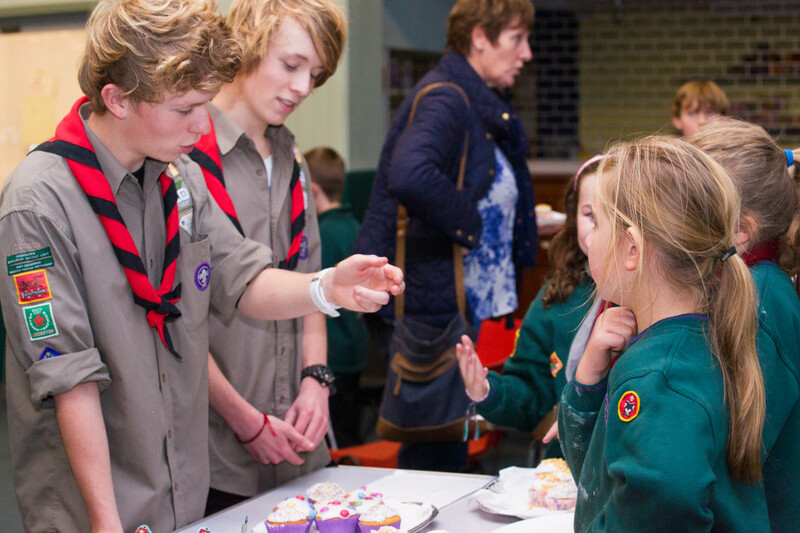 Scouting in Leicester South East is always growing! Weather you are a young person (aged 6 to 25) or someone with a bit more experience there is a place in South East for you! Youth membership is split into 5 groups, Beavers for ages 6 to 8, Cubs for ages 8 to 11, Scouts for ages 11 to 14, Explorers for ages 14 to 18 and Network for ages 18 to 25. South East is proud to provide for all of these ages, and spiting youth membership allows a much better program of activities. For more information on any of these sections click the logos above. Sectional assistants and Section leaders are the people who make Scouting as great as it is, but we are always looking for more. The scout association is committed to flexible volunteering so weather you can commit to two hours a week or 10 hours a week this role can be tailored to suit most regular levels of commitment. Occasional helpers are adults who can’t commit on a regular basis. If you want to get involved but for whatever reason cannot come every week then the occasional helper role gives the flexibility to help once a year at camps and other large events or once a month. Executive members don’t necessarily work directly with the young people but their roles are crucial to the running of local Scouting. Every group has an exec that looks after finances, any property or equipment and support the group wherever they can. If you want to be involved but don’t feel leading young people is for you then being an exec member is a really good way to give something back to the community whilst building personal skills. The District team is also looking to recruit. The teams main role is to support leaders locally and they do everything from organising bigger events to web development to advising leaders. Many of the district roles expect some Scouting experience but the range of things done in the district give scope for particular skills to be utilised. No matter where you end up in Scouting, young or old, you will have a positive effect on the local community and your own experiences, with over half of employers looking for Scouting on a CV it’s a great way to give something back whilst still developing skills.